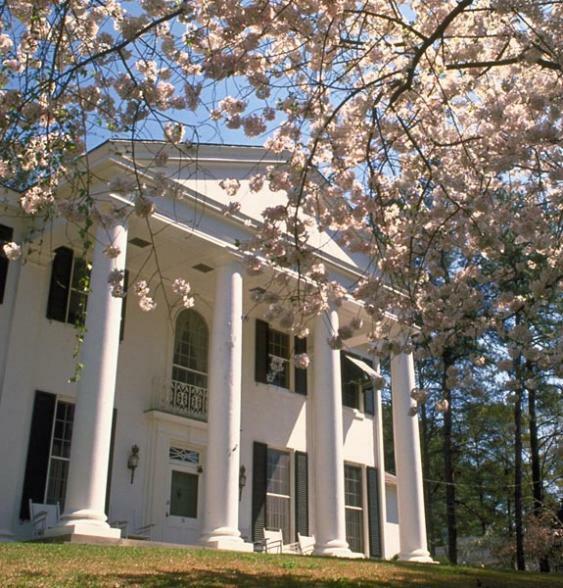 Tauck's unforgettable trip through Georgia and South Carolina evokes long-ago days of gracious Southern living... a rarefied world of plantations, 19th-century mansions, magnolias and live oaks hung with Spanish moss. 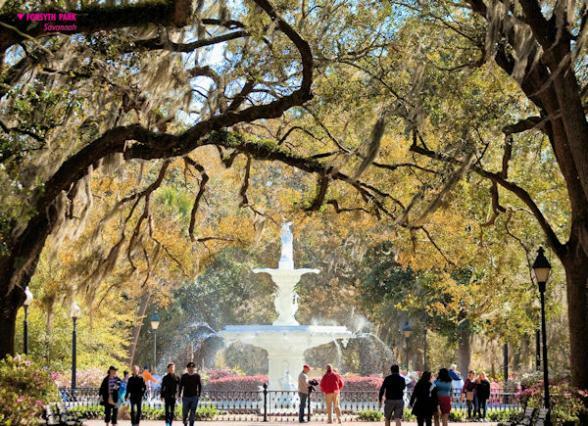 Explore National Historic Landmark Districts in Savannah, Charleston and Beaufort... visit Fort Pulaski, a living history heritage center in Savannah, and a museum in the Low Country preserving the folkways of the Gullah / Geechee culture... stay beachfront at Hilton Head Island... stroll through the gardens of Middleton Place... enjoy a taste of Savannah's Madeira traditions, followed by a memorable dinner at the National Museum of the Mighty 8th Air Force... celebrate 300 years of history in Beaufort, South Carolina and tour the islands off her coast with a Gullah guide... take a private cruise in Charleston Harbor, and more. 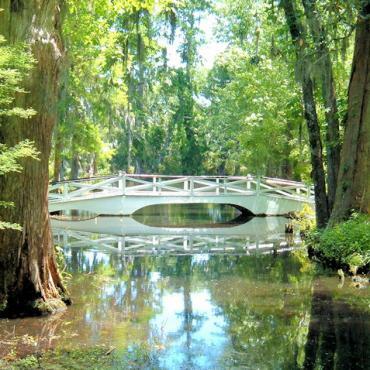 Tauck's South Carolina and Georgia tours are as refreshing as a cool glass of sweet tea! 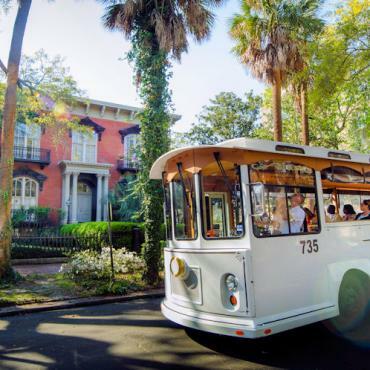 A transfer is included from Savannah/Hilton Head International Airport to The DeSoto, located in Savannah's historic center, just a few blocks from the bustling waterfront. Join us this evening for a welcome reception at your hotel in the heart of the city’s National Historic Landmark District, followed by a welcome dinner at the renowned 45 bistro in The Marshall House, a restored 1850s inn. 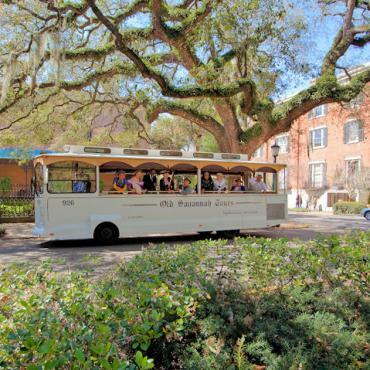 Today you'll embark on a guided excursion through the Low Country region along the Georgia coast. Begin with an opportunity to experience firsthand the unique Gullah / Geechee culture that developed in the wetlands approaching the outlying Sea Islands of Georgia at the Pin Point Heritage Museum. Occupying a former oyster and crab processing factory in the community of Pin Point on the banks of the Moon River south of Savannah that offers amazing views of the wetlands, the museum's exhibits and multimedia presentations interpret the oyster fishing traditions and folkways of the residents of Pin Point – which for nearly a century survived as an isolated, self-sustaining Gullah / Geechee enclave founded by first-generation free people of color, whose lives were deeply connected to the water. Continue through the marshlands and past old Spanish fortifications to Wormsloe State Historic Site on the outskirts of Savannah, where a winding rural avenue lined by more than 400 live oak trees leads to the remains of Georgia's oldest plantation and its original "tabby" house, now complemented by a museum, theatre and Colonial Life area. 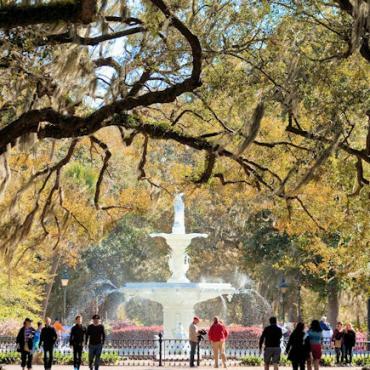 Return to Savannah for a free afternoon, followed by two Tauck Exclusives. The first is a celebration of the city’s Madeira wine traditions at the Davenport House Museum, featuring a tour and a tasting in the historic home's private gardens. Then enjoy Tauck's exclusive after-hours admission to the National Museum of the Mighty 8th Air Force for a private tour of its exhibits chronicling the famed US Eighth Bomber Command's contributions to the Allied victory in World War II and beyond, and a private dinner in the museum's reception hall. Bid Savannah farewell and head off to a key site of the Civil War, Fort Pulaski National Monument, an impressive brick fortress captured by Union forces in 1862. It was here that military history was forever changed during a Civil War battle that saw the introduction of "rifled cannons." 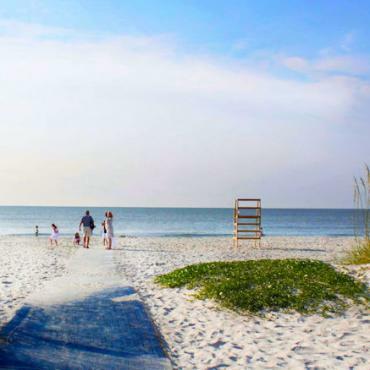 Continue on to Hilton Head Island, South Carolina, boasting one of the most pristine marine estuaries on the east coast, where you'll find miles of barrier beaches outside of your oceanfront resort that are ideal for walking and beachcombing. Dine this evening at the resort. 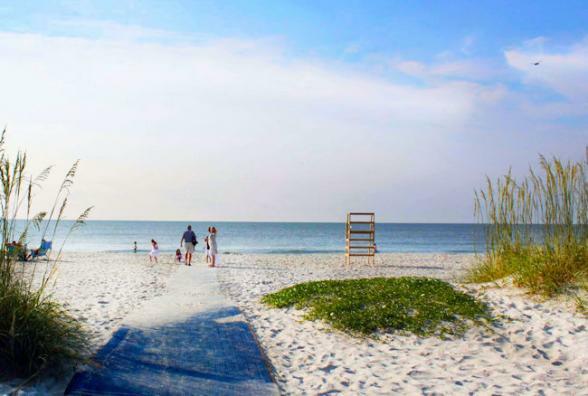 Take time for an early morning walk on Hilton Head's pristine beaches if you wish before setting off for historic Beaufort, where you’re joined by a local Gullah resident and guide for an in-depth look at the unique culture and heritage of the Gullah people on a tour of the nearby islands. In Beaufort, "Queen of the Carolina Sea Islands," you'll view the timeless architecture of its National Historic Landmark District. 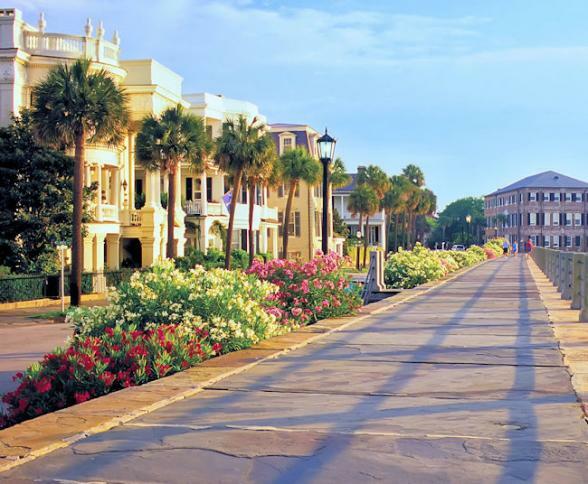 Head to Charleston, the lovely and historic first capital of South Carolina. 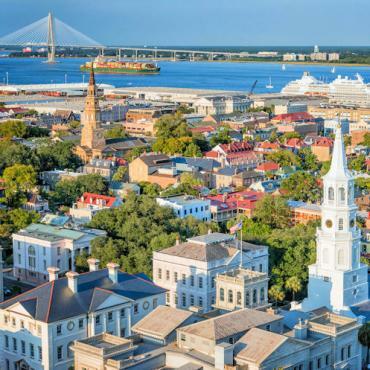 An exclusively chartered private boat cruise of Charleston Harbor this afternoon imparts a wealth of information about the city's centuries of maritime history. 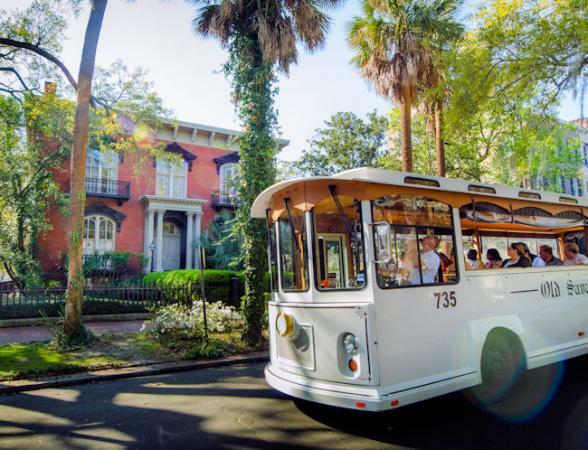 Your home for the next three nights is an elegant 150-year-old hotel, The Mills House Wyndham Grand Hotel, at the center of Charleston's historic district – and within walking distance of many of its architectural treasures. Dinner tonight is at your choice of several fine Charleston restaurants. 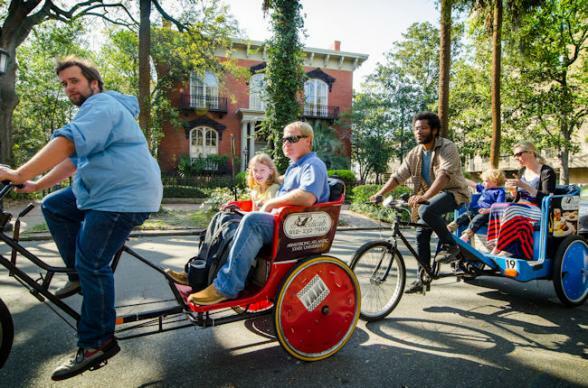 A local guide takes you on a tour of Charleston to see centuries-old cobblestone streets and well-preserved homes representing a range of architectural styles from the Revolutionary War period to Antebellum mansions – classic Georgia, Federal, Adamesque, Greek Revival, Italianate and Victorian. 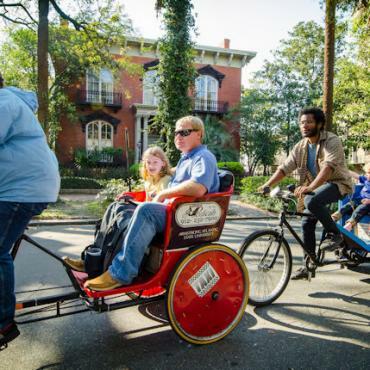 Many of these homes surround very pretty "secret" walled gardens; additional highlights of the city's 789-acre historic district that you'll see include the famed military school known as The Citadel, and the Battery. 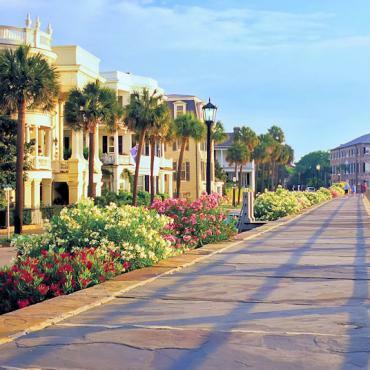 The rest of the day is free to do as you please; Charleston is a great city to explore by foot, or you might decide to see it by horsedrawn carriage; other ideas are visiting the Gibbes Museum of Art, or Fort Sumter National Monument, where the first shot of the Civil War was fired in 1861. And of course there are many restaurants and cafés at which to enjoy the easy living this city is so well known for. 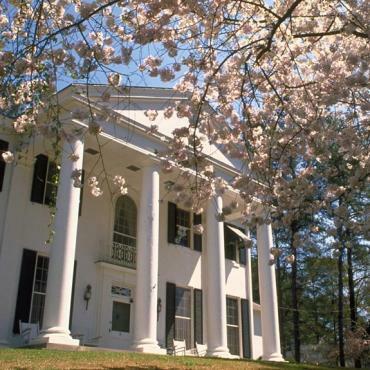 Visit some of the finest historic plantations and gardens in America today. A morning trip takes you first to Magnolia Plantation and Gardens for a tour of the magnificent Romantic-style garden – selected as one of "America's Most Beautiful Gardens" by Travel + Leisure; some sections of the gardens are more than 325 years old, making them the oldest unrestored gardens in America. 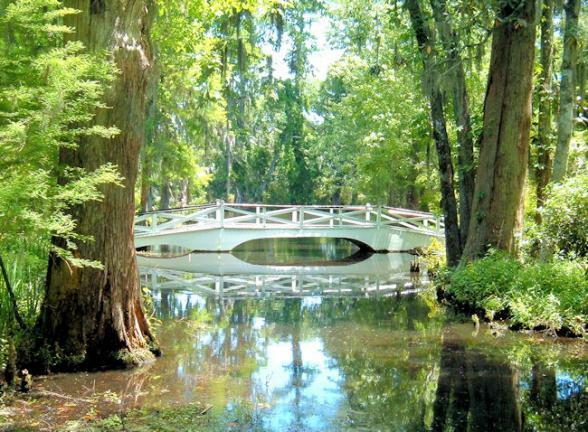 Then it's on to one of the grandest of the notable Ashley River Plantations, Middleton Place, a National Historic Landmark that is home to America's oldest landscaped gardens – truly a landscaping masterpiece. Tour its mansion built in 1755 and the stableyards – and of course the formal gardens. Return to Charleston mid-afternoon, then join us this evening for a farewell cocktail reception and dinner at your historic hotel. Tour Ends: Charleston. Fly home anytime. A transfer is included from The Mills House Hotel to Charleston International Airport. Your tour may end here, however perhaps you may decide to extend your stay. 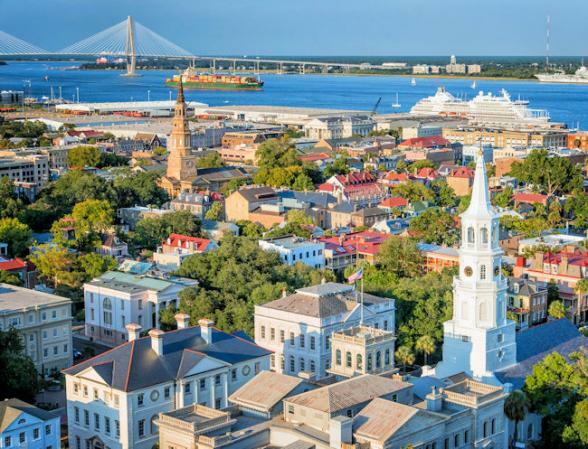 Maybe you may want to spend a few days exploring the Carolinas independently or catch a flight and enjoy a some time in New Orleans. 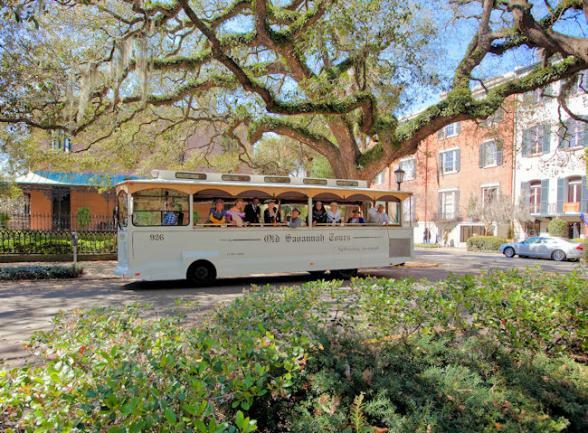 Call the USA travel experts at Bon Voyage to discuss your ideal Charleston & Savannah tour.